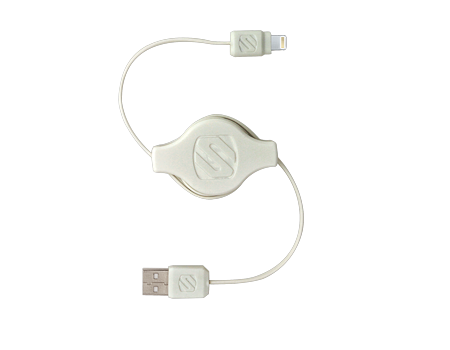 Retractable charge & sync cable for Lightning USB devices. Charge and sync cable allows you to use USB to new Lightning connector to charge and sync your new Apple device. Retractable design keeps things neat. Supports USB 2.0 for fast data transfer.